Elastomeric waterproofing makes your home protected from external moisture and prevents mold and mildew and improves air quality. Using elastomeric coating, which is a thick, rubberized and mostly water based, creates a waterproof membrane between your home and outside elements when applied properly. It can be used in roofs, swimming pools, balconies, terraces, closing gaps, cracks, concrete expansion joints, and more. It looks like regualr paint but is much more superior in adhesion, flexibility and waterproofing abilities. Its thickness is many that of regular paint that fills cracks and prevents future cracks as it expands and contracts with temperature. Elastomeric waterproofing is able to prevent rain from breaking in but allows moisture within to escape without peeling or blistering the paint. It can also soundproof and insulate depending the quality of the paint. It is great for concrete and stucco structures the might crack, preformed concrete, concrete blocks, bricks, masonry walls, cooling tower, bridges, and more. Elastomeric waterproofing can be used in mobile homes and RV's from walls to roof seams to prevent water leakage. It is effective for eliminating flaws caused by holes and cracks. Use it with spray, brush, or roller and can easily be cleaned with water and soap. The surface must be free of dirt and other substances like wax, oil, and grease, dry and clean, cured. Contamination will have adverse effect on the performance of the elastomeric waterproofing. Stir thoroughly before applying and apply only in good condition and not when it's likely to rain. 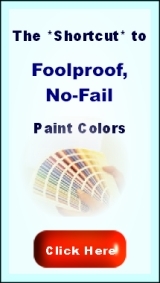 Although it cost many times over ordinary paint, the benefits are numerous. It has low water absorption, reliable in bridging cracks, resistant to alkali, doesn't get dirt easily, good breathability, last very long, resistant to UV, water based, friendly to the environment, and can be tinted. Elastomeric waterproofing is an eco-friendly, non-toxic, long lasting and flexible waterproofing solution for your home that adds beauty and protection.